MALAYSIA, Kuala Lumpur, June 19, 2018 : The hand is holding a smart phone waze application to show the city's road direction. 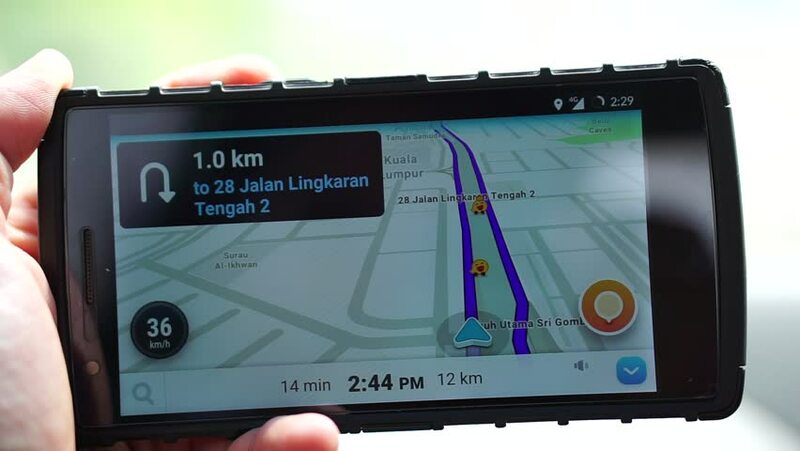 hd00:12MALAYSIA, Kuala Lumpur, September 1, 2018: The Waze application on smartphones shows the road on the car dashboard with a blurred background. hd00:08MALAYSIA, Kuala Lumpur, June 19, 2018 : The hand is holding a smart phone waze application to show the city's road direction. hd00:11MALAYSIA, Kuala Lumpur, June 19, 2018 : The hand is holding a smart phone waze application to show the city's road direction. hd00:08MALAYSIA, Kuala Lumpur, March 4, 2018: The Waze application on smartphones shows the road on the car dashboard with a blurry car lights background at night. hd00:07MALAYSIA, Kuala Lumpur, August 26, 2018: The Waze application on smartphones shows the road on the car dashboard with a blurred background. hd00:09MALAYSIA, Kuala Lumpur, August 26, 2018: The Waze application on smartphones shows the road on the car dashboard with a blurred background.